Our family after Kyle's HS graduation! Kass proud of her brother's accomplishments and feeling pretty good all day, we thank God for that. Well, it's been a busy couple of days. On Monday, we met with the Nevada Childhood Cancer Foundation to talk to a social worker about Kassidy's possibilites of having to go on homebound, a program for kids that ill and tutored at home. Our problem is that they not cover (AP) Advanced Placement or Honors classes which Kassidy is in at her highschool. Granted this would be for the following year, but we want to make sure it's in place if we need it for next year school year. We also contacted a group here in Vegas called the Candlelighters, this organization also has a couple other resources and the best one a teen program where teens in Kassidy's situation meet once a month for activities. I think this will be fun for her to meet others. That same night we spoke to the parent liason for Pediatric Tumor Foundation and she is making calls to see what other resources she can dig up for us that may be able to help us. Unfortunately, most of these resources do not approve of the course of treament we have chosen for Kassidy, because it's not FDA approved. Most of them will not even look at us because of that same reason. The Ronald McDonald house in Houston, TX won't even let us stay there because we are going to the Burzysnki Clinic. Our oncologist does not even want to refer the Burzynski Clinic to our insurance company so we can start the battling process with the insurance. His assistant called us and told us that the doctor cannot refer because he doesn't believe in the treatment and will not endorse the program. So we cannot even start the process of fighting with the insurance if not one doctor is behind us. So frustrating! But we are sticking to our guns and we will find a way. This doesn't even top it all! Also on Monday, Ryan went to deposit a couple checks we had received for Kassidy and because they were made out to Kassidy Merritt Benefit Fund they would not let us deposit them. Since we are not a non profit organization we cannot be named a Fund so we have to be named Kassidy Merritt Donations. Silly I know! Her name is on the dang check! Also, according to our attorney it would be very costly to setup up a non-profit organization and would take over a year to do. By the end of Monday's day, Ryan and I felt defeated and ready to have a panic attack. We felt like everywhere we turn were hitting a brick wall that day! Needless to say, on Tuesday we decided to take the day off this craziness and enjoy Kyle's graduation day. He graduated with High Honors, Advanced Honor Diploma, Centennial Medallion, 13 different academic scholarships and 2 athletic scholarships. We are very proud of him and cannot wait to see him compete in Cross Country and Track and Field at Boise State. But it was very hard to see one of children embark on the rest of his life while the other one, will begin to fight for hers. But we enjoyed the day with Ryan's parents who drove all the way from Wyoming to come see Kyle graduate and friends who were able to make it to the ceremony. We didn't really answered emails, phone calls, or some texts and just celebrated this milestone in Kyle's life. We did receive some amazing news yesterday from one of our dear friends, Lisa Caterbone. Lisa is the founder of Biking Las Vegas, an organization that has helped us learn about bicycle safety and we have shared many bike rides for causes as well as just for fun. She told us that Kassidy will be the face of this years LiveStrong ride here in Vegas that will be held, October 1st. 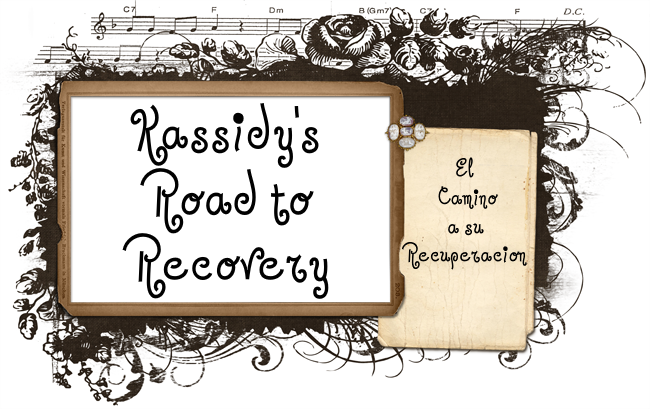 The Las Vegas Cancer foundation will setup a page that will run concurrently with this year's ride where all donations made through this page will be all in Kassidy's honor. Wow, we were so elated with the news. More details coming soon on the page! 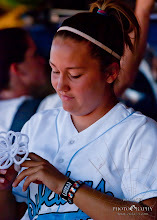 Thanks again to all those who have forwarded Kassidy's story and have taken on ways to help us. We appreciate anything you can do! I just learned about Kassidy from Bishop's mom. I am sooo very sorry for her diagnosis. Have you heard about Cole's Foundation? We are a team of volunteers that pray for families who are mostly affected by pediatric cancer, premature birth and other childhood illnesses. You can visit www.colesfoundation.org to read about sweet Cole and his family's mission. Please consider registering Kassidy. It can be done very quickly from the home page. We will be praying.